There are people who craft countless portraits of their favorite musicians, only to have them never see their work. This isn’t the case for Suckcess (@suckcessarts on Instagram). His persistence at live shows has gotten him the chance to not only interact with some of the game’s top rappers, but also to get his sketches signed without hesitation. 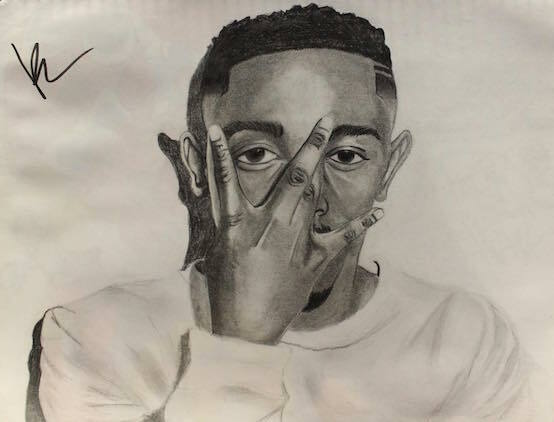 Just recently, during the meet-and-greet portion of Kendrick Lamar’s “Kunta’s Groove Sessions” tour stop in New York City, Suckcess boldly bypassed protocol and got K. Dot to sign his fan art right before the show. He also even got Kid Cudi to sign his portrait of the rapper in the middle of a performance. You have to give it to him—the kid’s got guts. Check out some of his artist-signed work below.